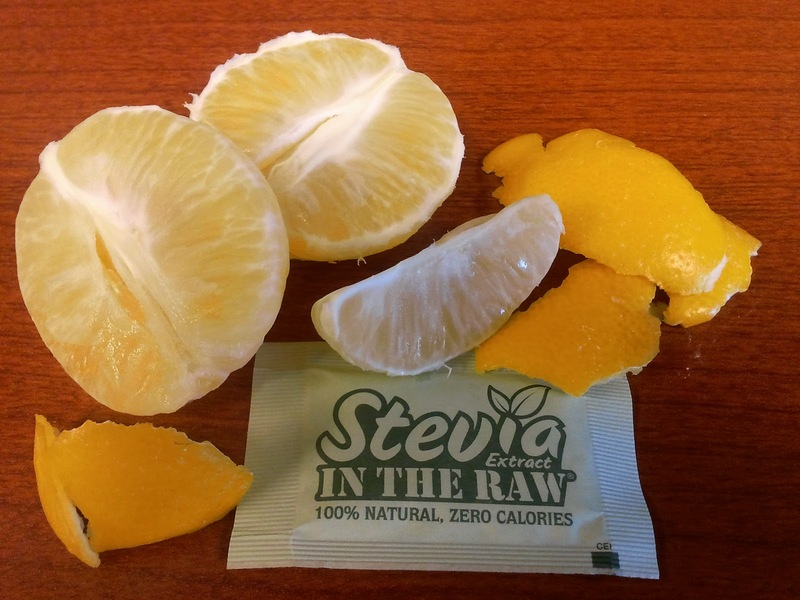 Believed to be a hybrid between a lemon and a mandarin orange, Meyer lemons were first introduced to the USA by a US Dept. of Agriculture "plant hunter", Frank Meyer. Meyer "discovered" these lemons in Peking (now Beijing), China in 1908. These babies are not nearly as tart as regular lemons. They have a much appreciated sweetness to them. In fact, I tend to eat mine like an orange, sometimes adding a packet of Stevia. They have a thinner peel, but just as many pesky seeds. There are tons of recipes you can try and if you find yourself buying too many (like me) you can always preserve them. (Seriously, they rival olives in my book.) I have placed a "how-to" at the end of this post. In the packaging that I typically see in stores. This was my mid-morning snack today. If *only* you could smell this. You know you are tempted to stick your nose on the screen and sniff! Blanch 6 lemons in boiling water 5 minutes. When cool enough to handle, cut lemons into 8 wedges each and discard seeds. Toss with salt in a bowl and pack into jar. Squeeze enough juice from remaining lemons to measure 1 cup. Add enough juice to cover lemons and cover jar with lid. Let stand at room temperature, shaking gently once a day, 5 days. Add oil and chill. 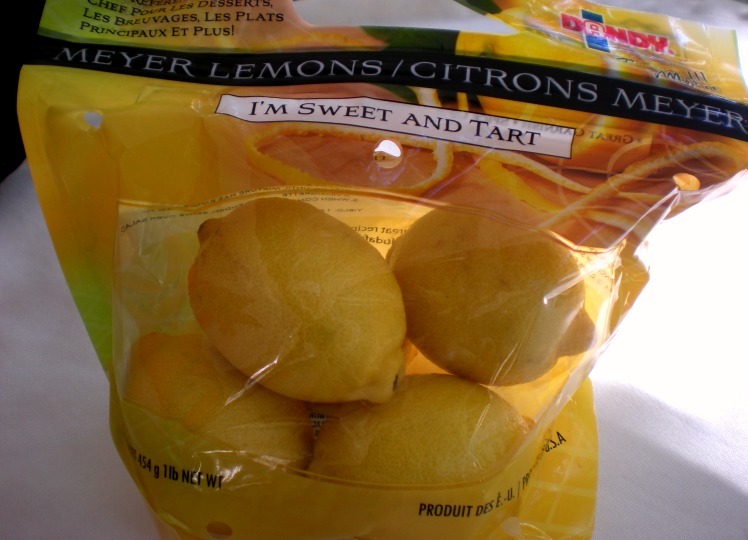 Cook's Note: Preserved lemons keep, chilled, up to 1 year.